Hand pump and wherry on deck house. G.S. Dole Collection. This photograph is probably on SC 93, early in the war. 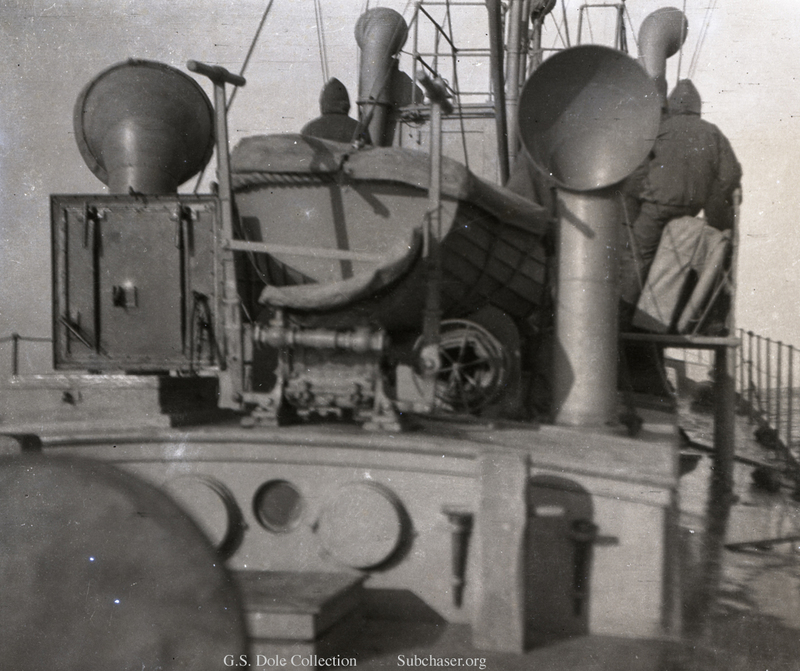 Note that the interior surface of the cowl ventilator on the starboard side appears to be gray. In other photos it appears to be bright white.